Buy happy anniversary 30 years video background for intro. Happy anniversary 30 years with color particles video on black background, for titile, intro, title anniversary, happy birthday, greetings site background, birthday presentation, films. Happy anniversary 55 years with fireworks video on black background, for title anniversary, greetings site background, birthday presentation, films, happy birthday, titiles, intro, youtube channel. 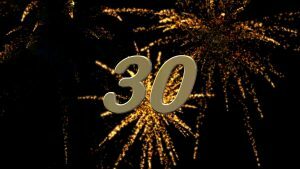 Happy anniversary 30 years with fireworks video on black background, for title anniversary, happy birthday, titiles, intro,greetings site background, birthday presentation, films. 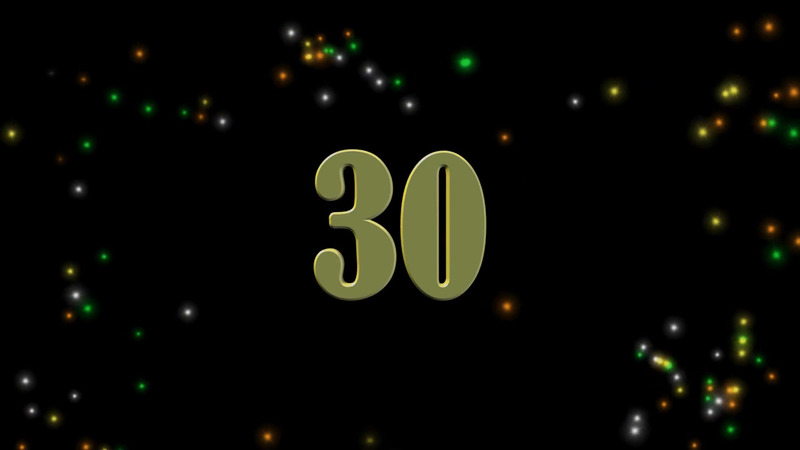 30 years happy anniversary with multi color blinked particles video on black background, for title anniversary, happy birthday, titiles, intro,greetings site background, birthday presentation, films.